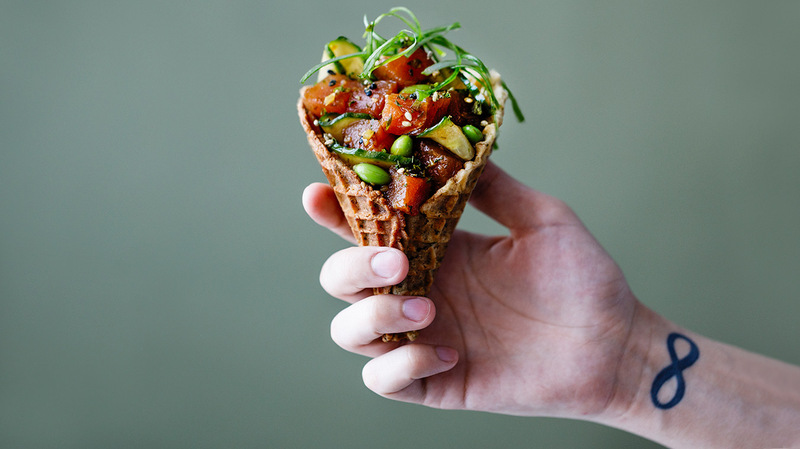 Fresh tuna poke served in a savory waffle cone! What could be more fun for April Fool's Day? 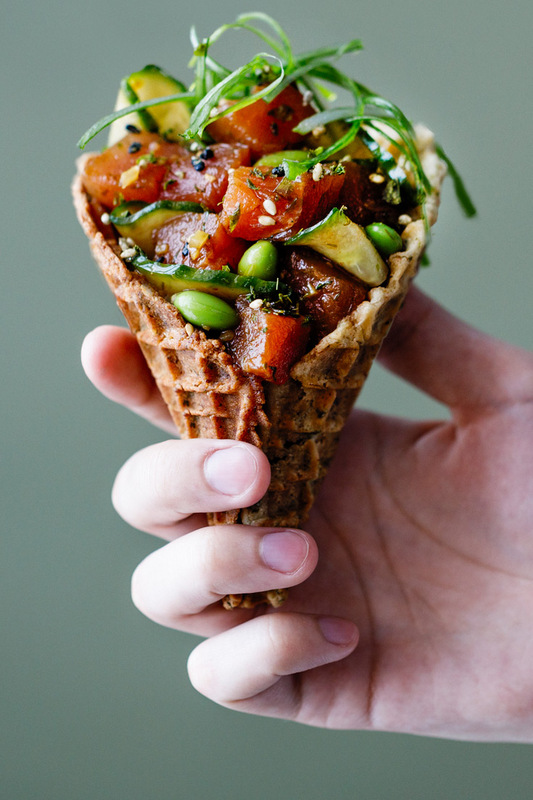 Makes about 1 cup poke. Delicious on its own or serve with pita chips or wonton crisps. 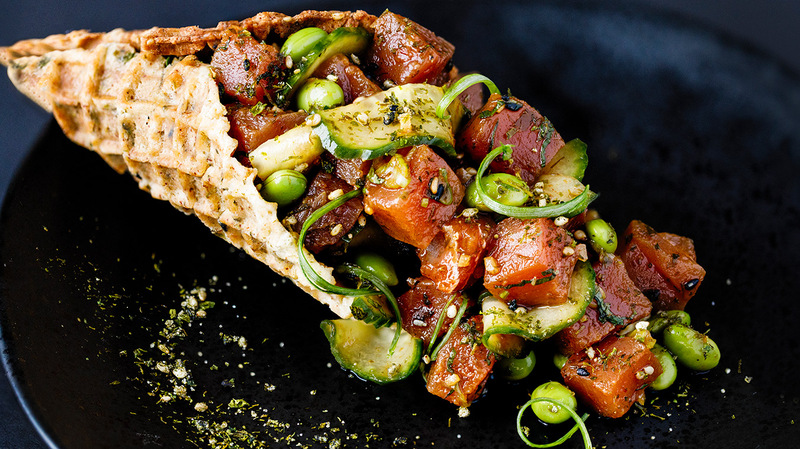 While our Ginger Soy Marinade was primarily developed as a marinade for fish and certain vegetables, it is a great base for our Tuna Poke and makes an awesome salad dressing as well. Furikake is a mixture of pulverized seaweed and whole sesame seeds. If you are unable to find it in the international section of your grocery store, sesame seeds will do the trick.